Are you an adult who missed the opportunity to have your teeth straightened with traditional braces when you were a child? Do you still wish could have straight teeth, but now you’re concerned about the appearance of braces and the time required for traditional orthodontic treatment? Well, opportunity is knocking at your door again. 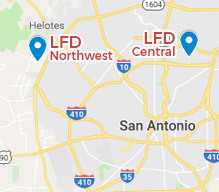 If you live in San Antonio or a surrounding community, Laith Family Dentistry has a popular orthodontic treatment you’ll want to consider. It’s called Six Month Smiles. Six Month Smiles takes the best of traditional braces and makes the procedure even better. With Lucid-Lok® clear brackets and tooth-colored wires, your Six Months Smiles braces are practically invisible. 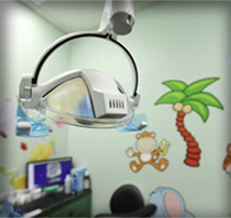 Furthermore, treatment with Six Months Smiles typically requires—well the name says it all—approximately six months. This shortened treatment time is because Six Month Smiles focuses on straightening only the teeth that show when you smile, whereas traditional braces are meant to reposition all of your teeth. And while traditional braces also correct your bite, Six Month Smiles braces do not. Both of these factors contribute to the shortened treatment time. 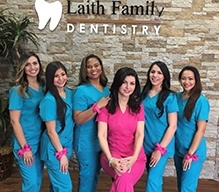 After a thorough exam of your teeth, gums, bite and jaw, Dr. Kadamani will be able to tell you if Six Month Smiles are the right choice for you. Don’t make the mistake of thinking that if Six Month Smiles works faster, then the braces must be uncomfortably tight. Six Month Smiles uses low force to gently move teeth into their proper position. Because Six Month Smiles concentrates on the appearance of the teeth in your smile zone rather than the position of your bite, the treatment requires much less time than traditional orthodontics. Nevertheless, Six Month Smiles uses the same orthodontic mechanics that are used in traditional braces, which dentists and orthodontics agree achieve the best results. While it can take months to achieve beautiful results with traditional braces, treatment with Six Month Smiles can be completed in just half a year. 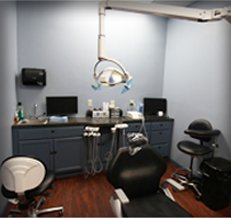 As an added benefit, this system uses clear brackets and tooth-colored wires. 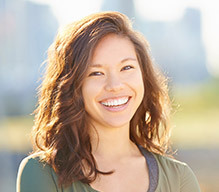 So instead of calling attention to your braces, Six Month Smiles can help you transform your smile discreetly, without calling too much attention to your treatment. At the end of your treatment with Six Month Smiles, you will need to wear a retainer to maintain the straight position of your teeth. Teeth have “memory” and are likely to want to shift back to the position they “remember.” So, you’ll choose either a removable retainer or a bonded retainer. The option you choose depends on your personal preference and situation. Have you avoided care with braces because you didn’t want to spend a year or more wearing traditional braces? Well, if you’re an adult with crooked teeth and your bite does not require alteration, then Six Month Smiles could be for you. Let our team talk to you about the benefits of Six Month Smiles. This excellent service can help you create a beautiful, healthy smile discreetly and in much less time. 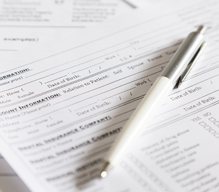 Call us today to reserve a consultation.